took this handheld from about 150 yards at max zoom, cropped a bit and denoised with topaz. 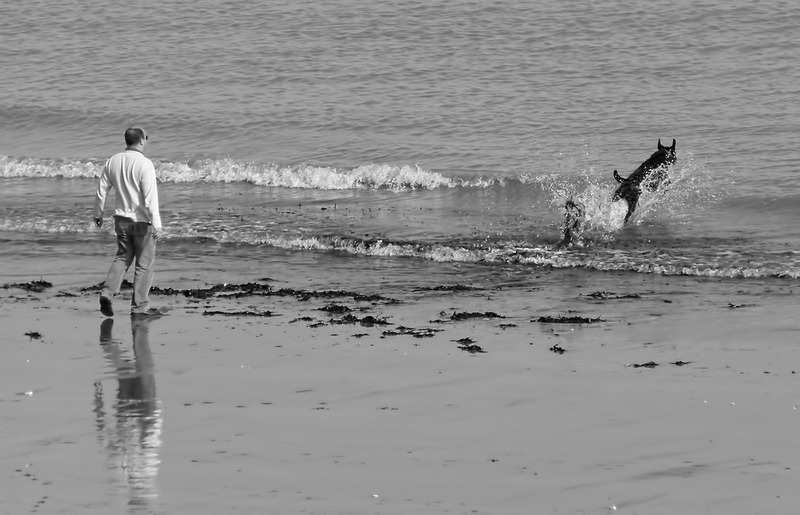 i was just packing up for the day after taking laura and trudi to the beach, when i saw this chap with his dog, running into the water as his man servant continuously threw a tennis ball into the sea. the dog looked to be loving it and i thought the wet sand gave a nice reflection. i love spontaneous photos. i like that you did this in b/w. very cool shot. I think the B&W accents the scene extremely well; good job! Beautiful situation and B&W result!! Well done John! Really like this one John, well done!